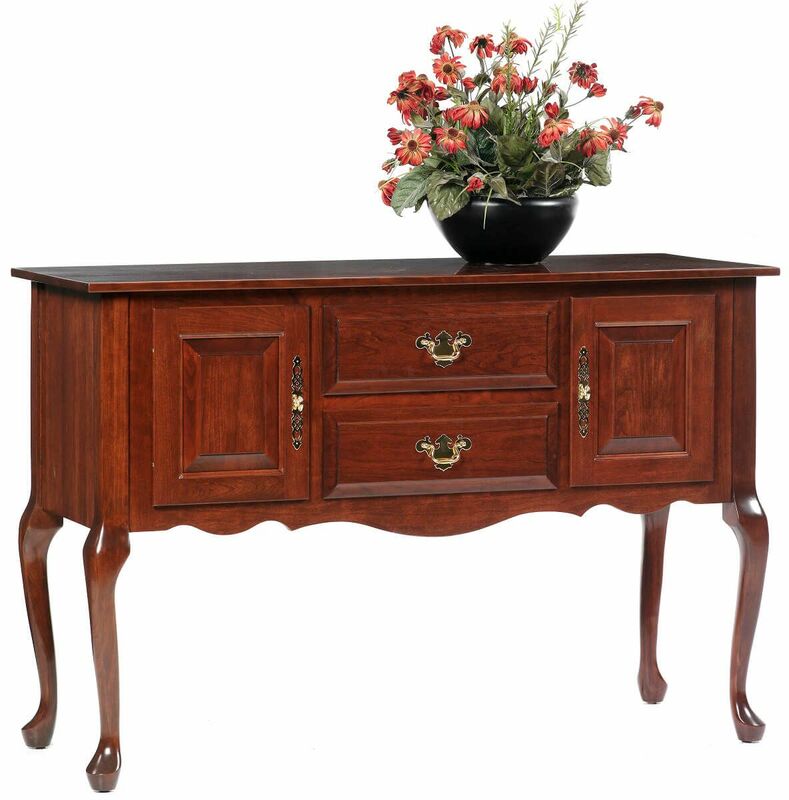 Our hardwood Evendale Court Sideboard is a beautiful, handcrafted piece built by the Amish in the Queen Anne style to complement any Traditional home. Our Evendale Court Sideboard features a formal and refined style from the cabriole legs to the raised panel door and drawer fronts. Both dovetailed drawers operate on full extension, soft close slides which are concealed under the drawer box, and door hinges are hidden to maintain its elegant appeal. While the Evendale Court Sideboard is pictured in a domestic Cherry, your Evendale Court Sideboard can also be handcrafted in Oak, Brown Maple, Quartersawn White Oak, or Maple if you prefer. Indicate your personal selections by completing our Create Your Piece menu.